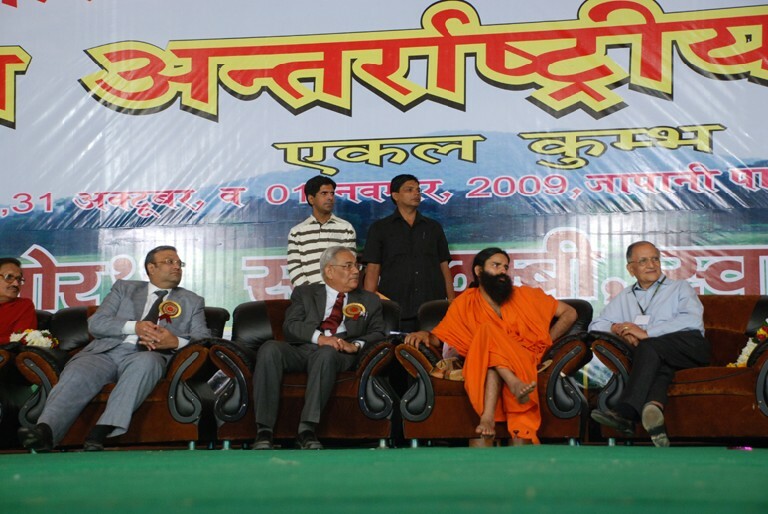 The Ekal International Conference was successfully held in Japani Park, Rohini, New Delhi on 29th, 30th, 31st October & 1st Nov., 2009. 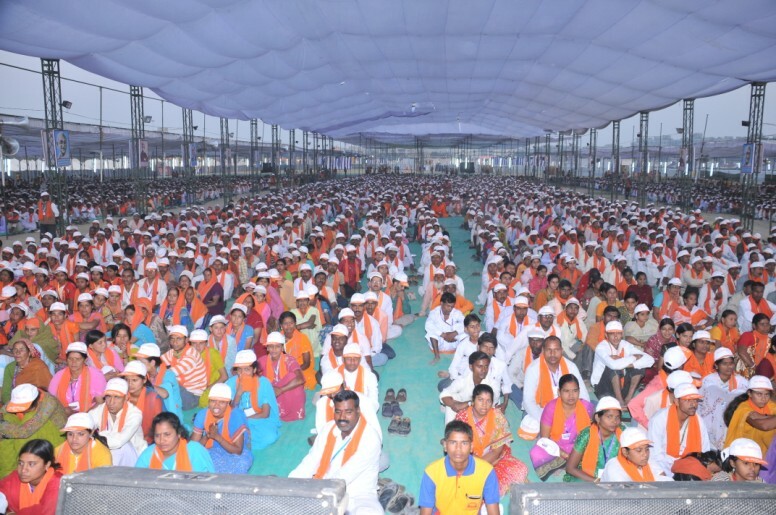 More than 14,000 Ekal Volunteers from the villages, towns, cities and even from abroad assembled in the Capital. Yogrishi Swami Ramdevji inaugurated the Ekal Exhibition on Thursday the 29th October 2009 at 7.00 p.m.
Sadhvi Rithambraji (Didi maa) graced the closing session on Sunday the 1st November 2009. Swami Parmanandji Maharaj also gave his blessings on this occasion. Sri Ashok Singhal was also present during the whole Seminar. News in detail will follow in the next issue. 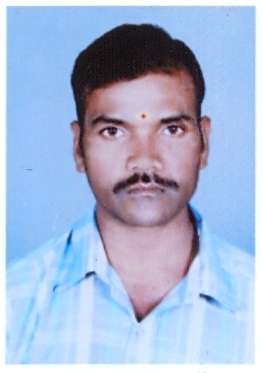 Sri Rangaswamy, a full time worker of Ekal Movement of Ooty Anchal, Tamilnadu has donated both the eyes of his father who died in an accident in Coimbatore on October 10th 2009. Sunday, the 11th October 2009 will go deep into the memory of citizens of Dandeli for two reasons; firstly the heavy rains and secondly the inauguration of EA Dandeli Branch despite the odds, at 7 pm at Deluxe Hall, Bangur Nagar Dandeli. 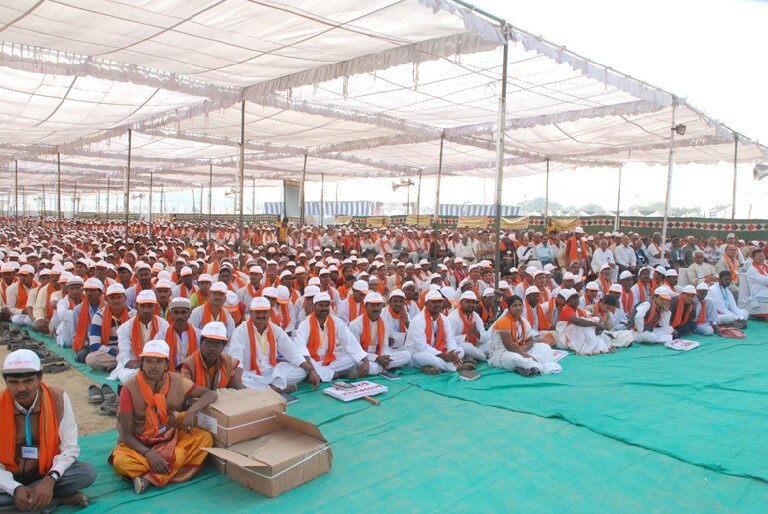 The programme started with chanting of Omkar. Saraswati Vandana – Hey Hamsa Vahini by studets of Ekal Vidyalaya and a Deshbhakti geet by Mahila Samiti activists of EA, Dandeli Branch was followed by CD display. Branch President Dr.NG Byakod welcomed the guests and the audience and lauded the contribution of West Coast Paper Mill in the overall development of Dandeli city, economic or otherwise. Dandeli Branch was inaugurated by Chief Guest Sri. KL Chandak Executive Director, West Coast Paper Mills Ltd., Dandeli who recalled the close association of the company with Ekal movement in Mumbai also and assured all the help in strengthening the activities of Ekal movement in Dandeli Branch area. Treasurer Sri. G. Muralidhar introduced the office bearers and Executive Committee members of Dandeli Branch. 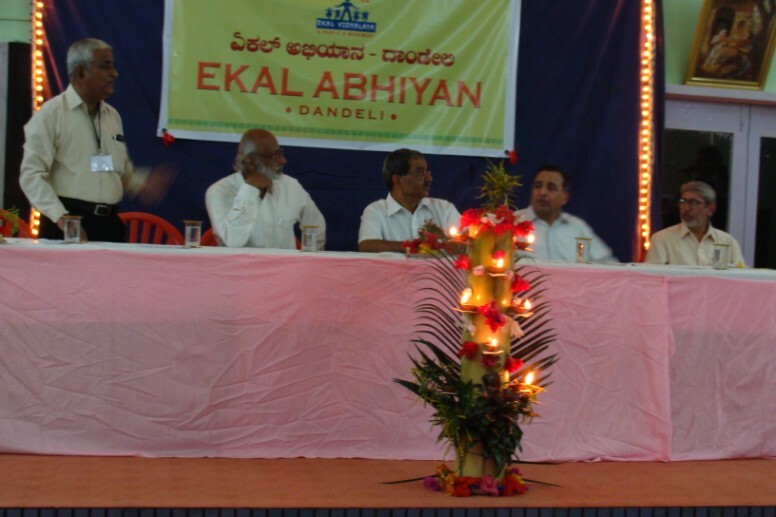 The occasion was utilized to remember the contribution of senior activists who have been long associated with Ekal Vidyalaya Yojana in the Dandeli Sankul Area. Sri Shyamsundar Deshpande, Co-coordinator, EA Belgaum (SVO), speaking on the occasion narrated the similar events that took place at the time of inauguration of Ekal Abiyan ,Belgaum (SVO) and wished that EA, Dandeli Branch will grow to greater heights within a short period. He called upon the audience and activists to mobilize Human,Financial and other resources so that the dream of Sampanna Bharat is rrealised in true sense and at the earliest. He called upon the people to become partners in readhing 3000 villages in Karnataka and one lakh Villages in Bharat by the year 2013. Two impressive group dances were presented by Ekal students indicating that efforts of Ekal Movement had begun giving the fruits. Guest of Honour Sri M.L.Naik, Dy.SP of Dandeli, conveyed his good wishes and regretted his inability tobe present in the meeting, due to the call of official duty. Another Guest of honour Sri N.G. Sabahit, Coordinator, Karnataka University Post Graduation Centre,Bangur Nagar Degree college Dandeli, drew the attention of audience to the happening of some great events like birth of Srikrishna and compared it with the odds faced by Ekal movement and appreciated that Ekal is guided by vision and mission of Swamy Vivekanand. He said he would feel honoured to be associated with activities of ekal movement. Donors were felicitated at his hands. Shi Suresh Hundre, President of EA Belgaum, and also the President of the function expressed satisfaction over the excellent arrangements made for the inauguration of the function and the unique arrangement for lighting the lamp’ .He wished that Dandeli Branch would shoulder the responsibility of making 90 villages of Dandeli area swavalambi and assured all the help from Ekal Abhiyan Belgaum. 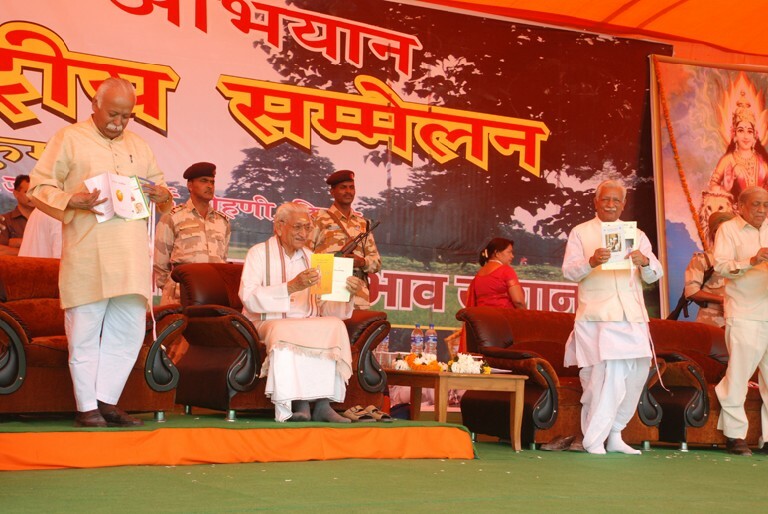 On this occasion Yojana Karyakartas were honoured. Sri Nagraj Br. Secretary, offered vote of thanks. 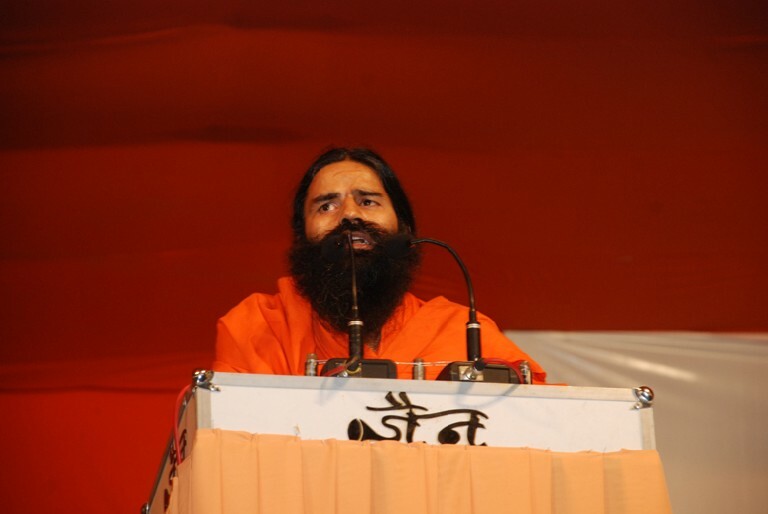 The programme concluded with Shanti Mantra. Accepting the challenges of the Nature over 100 people participated in the function. 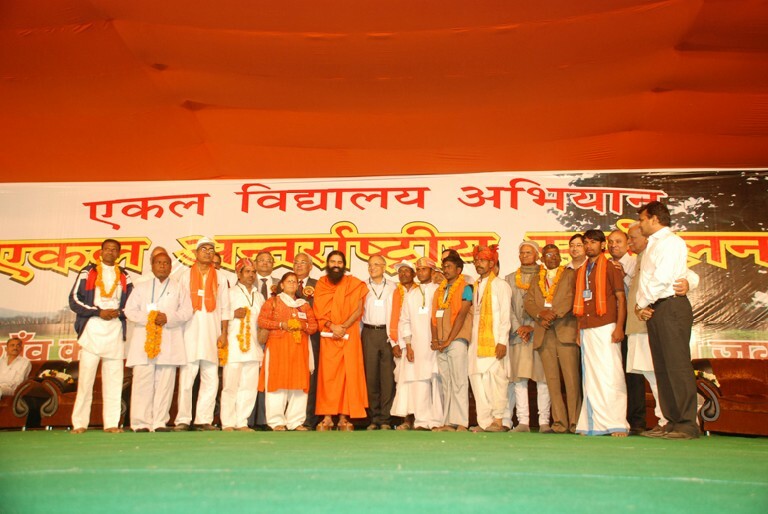 Thursday, the 8th October 2009 was a proud moment for citizens of Khanapur. In very festive mood, inauguration of Khanapaur Branch took place at Mangarish Mangal Karyalaya at 6.00 pm. The programme began with Omkar. CD display was followed by lighting the lamp by the guests. Saraswati Vandana – Hey Hamsa Vahini … was chanted by Karyakartas. 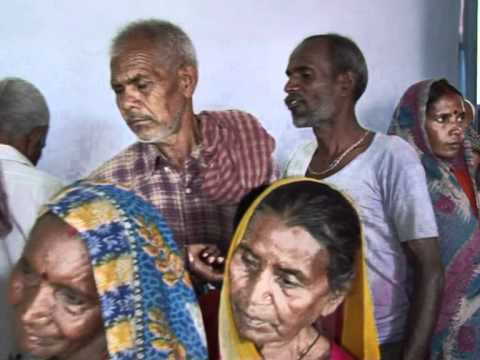 Ekal students Sang the song ‘Swavalami Swabimani Bhava Jagana hai ….. ‘. Branch President Sri Radhakrishana Herwadekar welcomed the guests and the audience. Secretary Sri Dilip Patil introduced the office bearers and Executive Committee members of Khanapur Branch. 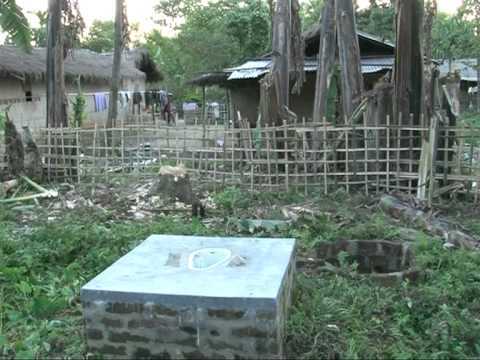 Two Donors who have adopted two villages were also honoured. Sri Shyamsundar Deshpande, Coordinator, EA Belgaum (SVO), spoke on the occasion and appealed the gathering and citizens of Khanapur to join the movement and strengthen the activities of Khanapur Branch. In his blessings, Swamy Chitprakashanad Saraswatiji, reminded the audience by narrating the incident of Ramayana, ‘Apitu swarna mayi Lanka, Janani Janma Bhumishcha swargadapi gariyasi’ which amply expresses the importance of mother land. 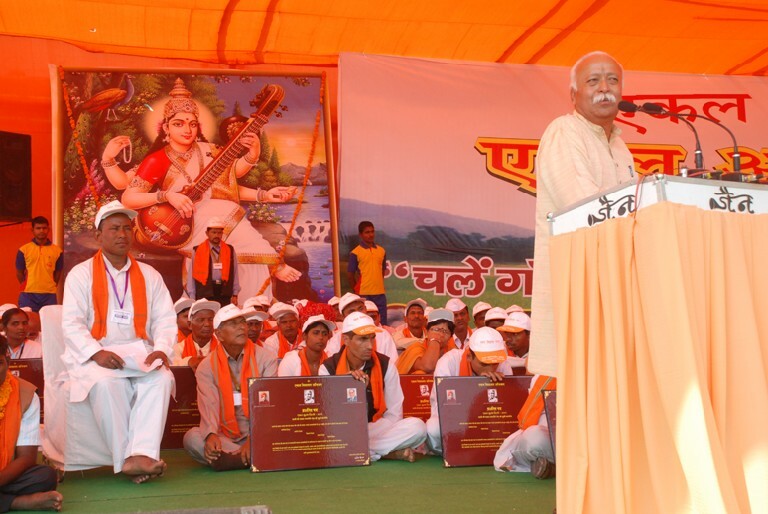 He appealed to all to inculcate and preserve the Bharatiya Samskars by following them in day to day life. Sri V.Y. Chavan, Ex. MLA of Khanapur the honourable Chief Guest, stressed the need to spread education in remote areas and strengthening Agriculture. 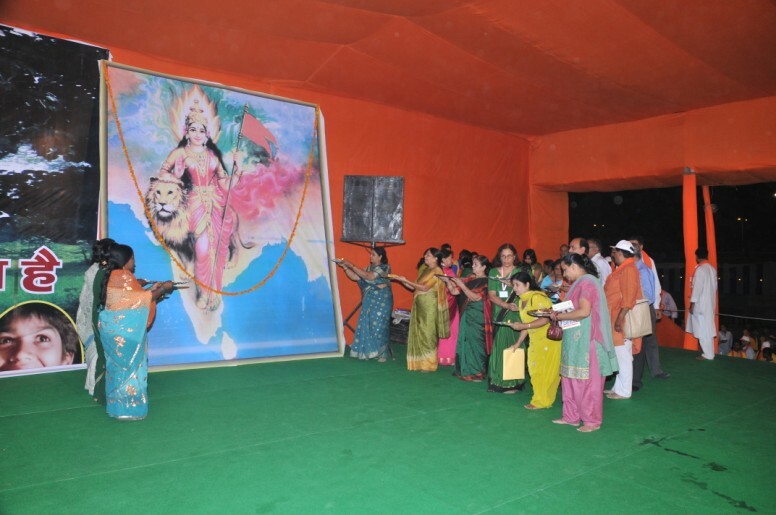 Yojana Karyakartas were honoured by offering Divali gifts. Sri Suresh Hundre, President of EA Belgaum, who presided over the function gave the details of efforts made for uplifting the village populace through Vermi compst project under Gram Vikas Yojana and also the upcoming Swavalamban Prashikshan Kendra(SPK) project. 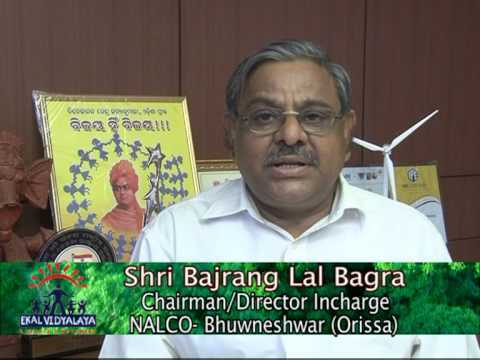 Sri Ramesh Jain Br. VP, proposed vote of thanks. The programmed ended with Shanti Mantra. Over 200 people participated in the programme. Ekal Abhiyan, Belgaumcommittee members were also present in good number. 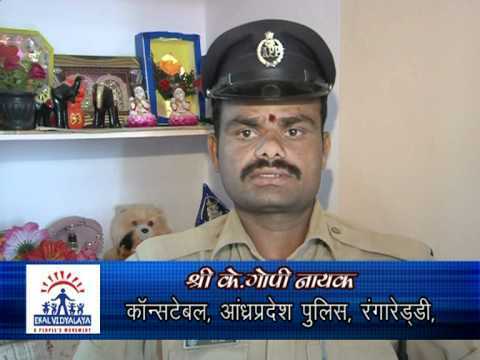 Sutra sanchalan was done by Sri Dilip Patil (Br.Secy).